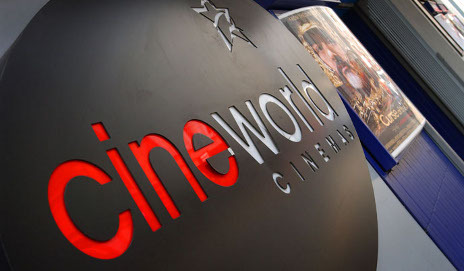 Cinemagoers can crack open the popcorn today as Cineworld drops all booking fees, meaning no more surcharges for customers who pay by card when booking online. Will this change your cinema habits? As regular Conversation commenters will know, we’ve been campaigning to get rid of ‘rip-off’ surcharges for over a year now. We’re really pleased that Cineworld has taken the hint and is now doing the right thing by its customers. The chain decided to drop the 70p charge after customer research showed that 77% of all cinemagoers had said that the removal of booking fees would encourage them to book online. When we investigated card charges for our surcharge super complaint we compiled a dossier of evidence. We found surcharges in all manner of places (our dossier was packed with 40 pages of examples!) and when we looked into how they’ve been creeping up we found that in eight years some airlines had increased their charges for paying by card by 1,400%. Hundreds of people complained about the surcharges for cinema, theatre and concert tickets. Our research showed cinemagoers could be charged up to £4.20 for booking online when buying multiple tickets. ‘I hate paying a fee to pay by card at cinema – especially as you have saved them paying wages for someone to man the ticket booth! Talk about getting customer to do the work – and then pay for doing it. It feels slightly strange writing this Conversation in celebration of a company deciding to stop charging customers for something they never should have had to pay extra for – or at least not pay more than it costs. But I’m a happy lady nevertheless. Now one firm has broken rank, we hope other surcharging companies will follow suit and realise it’s time to drop ‘rip-off’ charges ahead of the government officially banning them by December 2012. Will moves like this make you more likely to visit one cinema over another? And do you think other industries will voluntarily drop the charges or wait for the government to lay down the law? Good start – it is OUTRAGEOUS that cinemas charge these stupid processing fees etc. It is the same fee as if you paid with a card at the cinema. There is not a single valid reason for these charges other than they can get away with it. Same goes for event tickets etc. We only go to the kids clubs screenings at £1 a ticket. The cinema’s provide nothing special for me to want to go at their prices. The last visit to one of the nicer/newer Cineworlds in Manchester, (on a full priced 3-D showing) we were delayed by 20minutes because a cleaner was tidying up. I was rebellious and went under the barrier to see what was the delay. I went in and he was swirling his mop about in the air, trying to balance it on 1 finger!!! There was still a pile of vomit at the door entrance and popcorn / empty cups and rubbish all over seats etc (people are disgusting). It looked as though no-one had cleaned for days. I watched the film and got a full refund. The manager asked me why I was so bothered about watching the trailers anyway? Lol! Ask the film producers/advertisers who spend time and effort making them! With HD TV and cinema surround TV at home… whats the point ? I have only ever booked online once because of the online charges. Now I may do so again, although I do like to choose the seats when booking at the desks. I doubt that’s possible booking online. I never buy tickets if I have to pay a booking fee except for air flights. If more people also took this stand more companies would stop this ridiculous charge. How about those cashier free tills in supermarkets, they are another con, do you get a discount for using them? No you are still paying the same price for your goods. I wish more people would be principled about things instead of taking the easy route. That is why companies charge for things like this. Was booking online for the Showcase in Reading until I saw a surcharge of 60p per ticket for this and you couldn’t reserve a seat either, what a ripoff. So didn’t bother and went to another cinema group instead. I’ve just booked tickets for cineworld online and got charged 50p per ticket booking fee……when did they start charging again?